The big story this November is a cross-country rejection of austerity and inequality and support for social justice. and an endorsement of the progressive populism that Democrats must embrace if they hope to prevail in 2014. 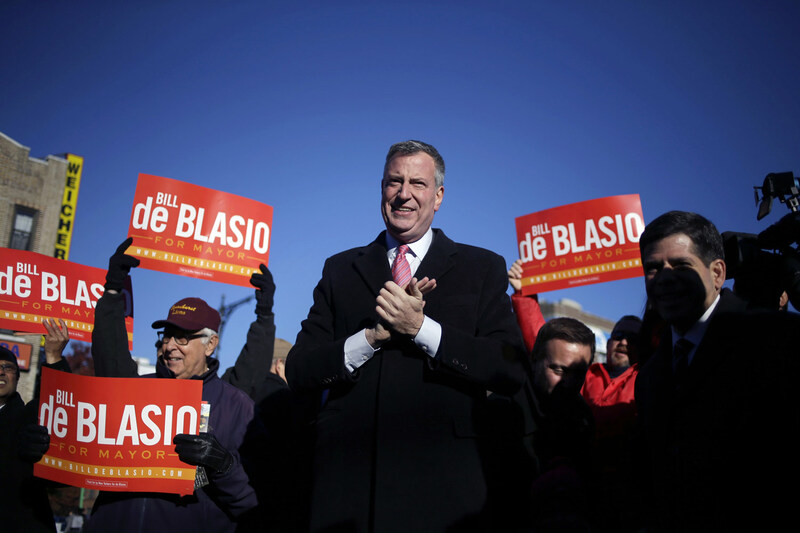 Bill de Blasio’s 73 percent landslide in the New York mayoral race, in which he ran on a platform of building a more inclusive city by addressing income inequality and taxing the wealthy, was just the topline measure of a national trend. The new public advocate of New York is Letitia James, a progressive populist first elected to the City Council on the labor-backed Working Families Party line. The City Council will have twenty-one new members, many of them elected with WFP backing. WFP executive director Dan Cantor said, in reference to de Blasio’s presence at the 2011 Occupy Wall Street protests, “We are living in the world Occupy made. We are the beneficiaries of what they did in terms of making this [about] inequality, which is from our point of view the core issue of our time.” What OWS did, yes—along with the organizing and electoral infrastructure patiently built by labor and community groups. In Boston, Marty Walsh was attacked by conservatives who argued that because of his background as a building trades union leader, he might be too sympathetic to public sector unions and working families. Critics circulated a video of Walsh at a 2011 rally in solidarity with protests against Wisconsin’s right-wing Governor Scott Walker. Instead of backing down, Walsh declared, “I will wear my record of fighting for working people as a badge of honor.” Surfing a wave of union backing, Walsh won. The wave extended to Seattle, where, as we go to press, ballots are still being counted in the close race for a citywide council seat that socialist Kshama Sawant sought on a promise to fight for a $15 minimum wage. The city’s new mayor, Ed Murray, says he’s open to the proposal. If he doesn’t move on it, activists say they will put the issue on the ballot, as was the case in the nearby city of SeaTac, home to the region’s international airport. Ballots were still being counted there too, where high spending by unions backing the proposal was countered by spending against it by Alaska Airlines, the American Car Rental Association, and hotel and restaurant interests. But in many cases, the money power just could not sell austerity anymore. In New Jersey, 60 percent of voters supported amending the Constitution to raise the state minimum wage by $1. In Cincinnati, voters rejected an attack on public employee pensions by a 78–22 margin. Democrats would be wise to note those numbers. Americans are sick of balancing budgets on the backs of working people. They’re ready for a more humane politics that insists the wealthiest must pay their fair share, that no one who works full time should live in poverty, and that public services and schools are assets to be protected—not targets ripe for privatization. If there’s one lesson from the 2013 elections that ought to instruct candidates preparing for 2014, it is this: “Another politics is possible.” It’s bolder. It’s more progressive. And it’s happening. John Nichols recently wrote about the “Scott Walker effect,” whereby the Wisconsin governor's endorsement meant the kiss of death to several candidates this election cycle.